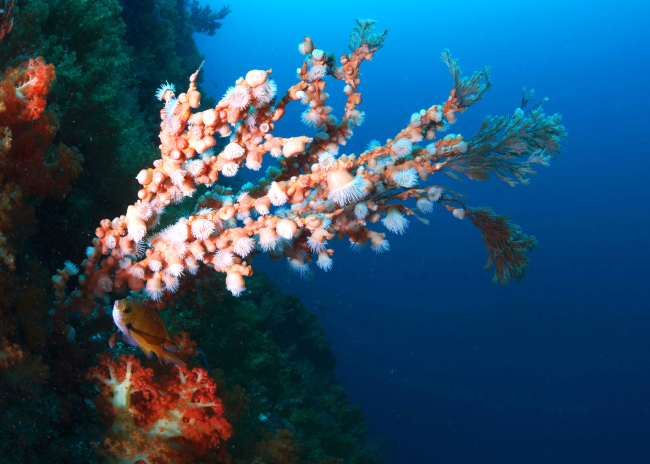 Beautiful soft coral colonies light up the dark sea off of Jeju Island. They mix with fish, showing off their fascinating colors. 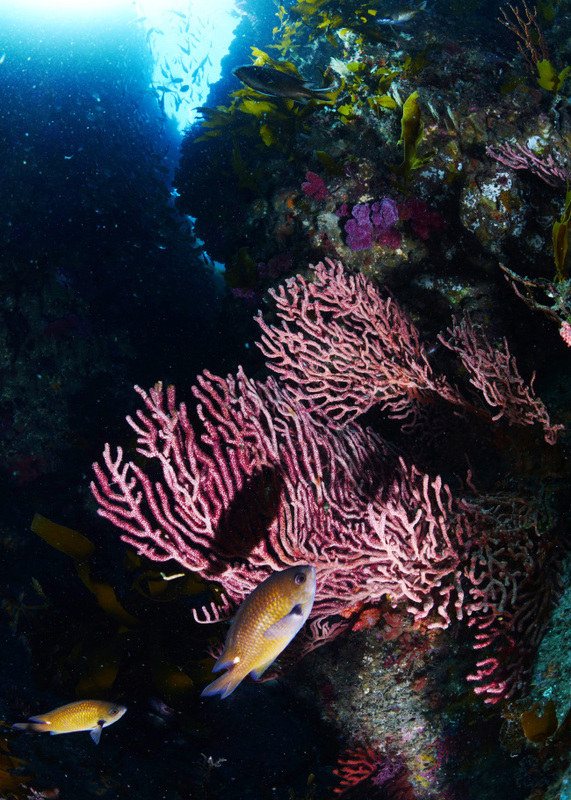 Munseom islet nearby Jeju Island’s Seogwipo is the biggest soft coral area in Korea. 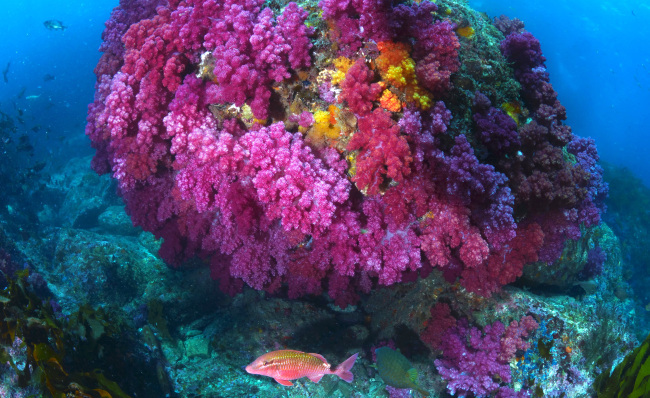 It has been designated and protected as the first and most spectacular landscape in Korean seas. In June, the Ministry of Oceans and Fisheries held a public gathering for 11 local governments in the coastal regions of the country and conducted face-to-face evaluation of maritime and business plans. It selected two final local autonomous entities -- Jeju Island and Goseong, Gangwon Province. Due to the designation of the area, infrastructure including a sports center, diving pool and venue for underwater wedding will be set up. “It is the first time in Korea that the coastal area, capable of accommodation for an increasing number of marine leisure residents, has been designated,” said Kim Chang-sun, director general of the Ministry of Maritime Affairs and Fisheries.